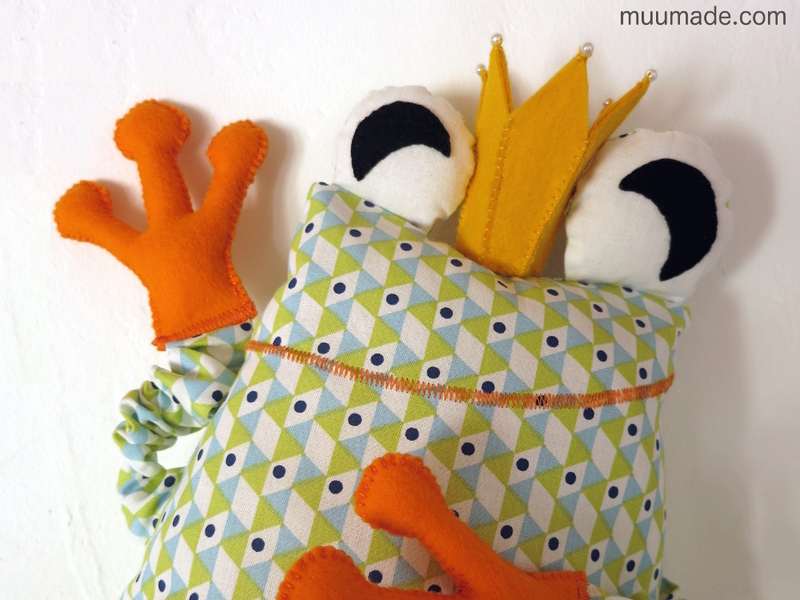 What could be more comforting than the Comfy Frog Prince’s big smile? His bright orange hands are so big and his arms so stretchy that the Frog Prince can catch anything he pleases. In fact, he is so ‘captivating’ that he can even capture your heart! 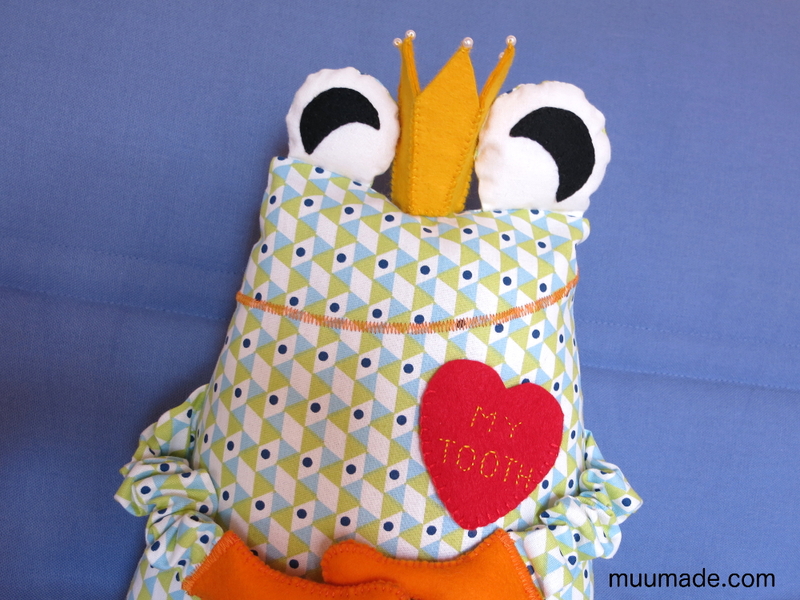 Speaking of hearts, if you add a red heart pocket to his chest, the Frog Prince becomes the Royal Guardian of your child’s precious teeth until the Tooth Fairy comes to take them away! I have prepared more options for the Tooth Fairy pocket. Shown above is the coat of arms pocket. 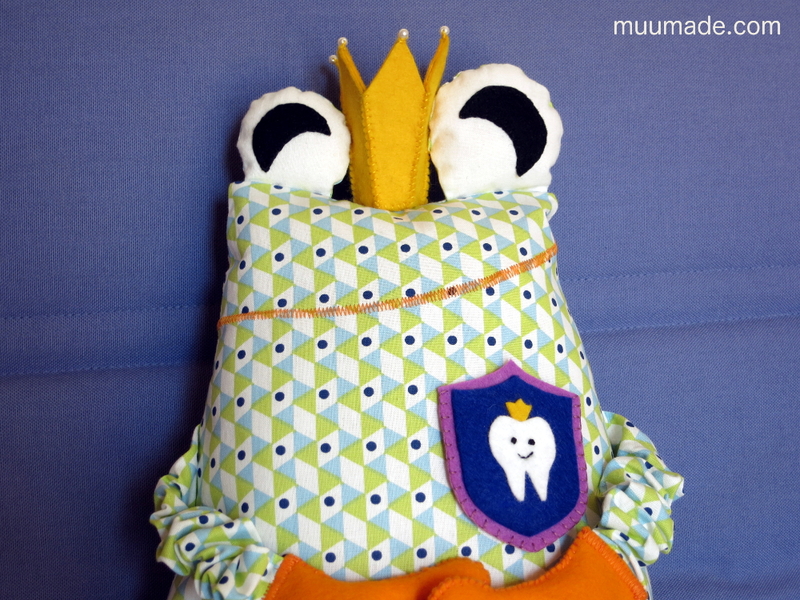 There is also a tooth shaped pocket as another alternative. The Frog Prince’s eyes literary stand out! So, I have included three variations for his irises for your to pick from. And, of course, you are more than welcome to make your own pair of irises, too! 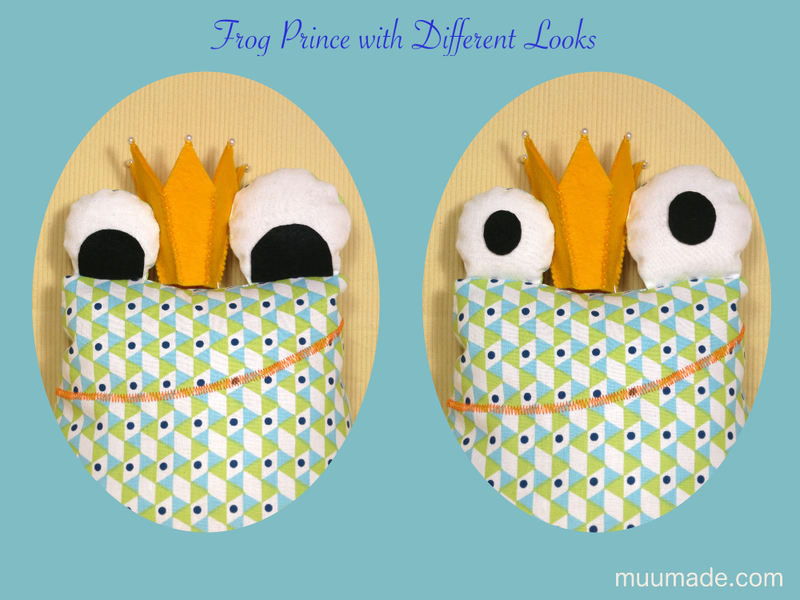 The Frog Prince is looking forward to meeting you. 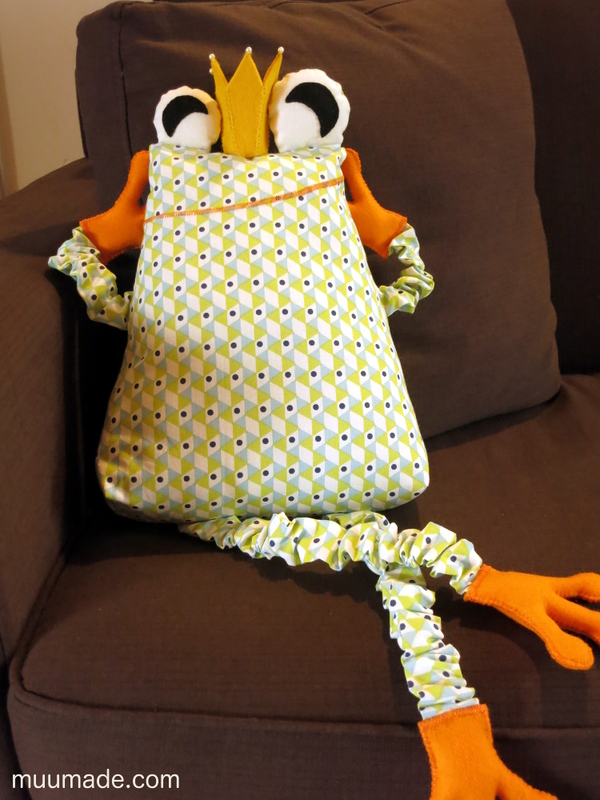 But in the meantime, it looks as though he has made himself quite comfortable!